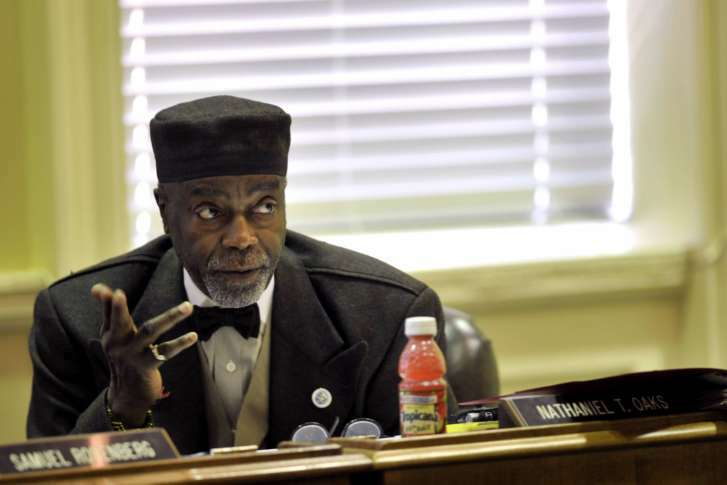 Former Maryland Senator Nathaniel T. Oaks, who pleaded guilty in a federal bribery case, has agreed to forfeit $5,000 as part of a plea deal. BALTIMORE (AP) — A former Maryland senator who pleaded guilty in a federal bribery case has agreed to forfeit $5,000 as part of a plea deal. The Daily Record of Baltimore reports the payment was filed in court Monday. Seventy-one-year-old Nathaniel T. Oaks pleaded guilty in March to fraud charges in a federal corruption case. The repayment between Oaks and federal prosecutors also dropped eight other charges against Oaks. The Baltimore Sun reports Oaks was accused of taking more than $15,000 in payments in exchange for helping an FBI informant who was posing as a developer. Federal guidelines call for Oaks to be sentenced to up to 10 years in prison. His sentencing is set for next month.